A tribute to some of America’s last wild horses will be the focus of The G2 Gallery’s upcoming exhibit, Nature LA: Jennifer MaHarry, on view Tuesday, May 15, 2012. 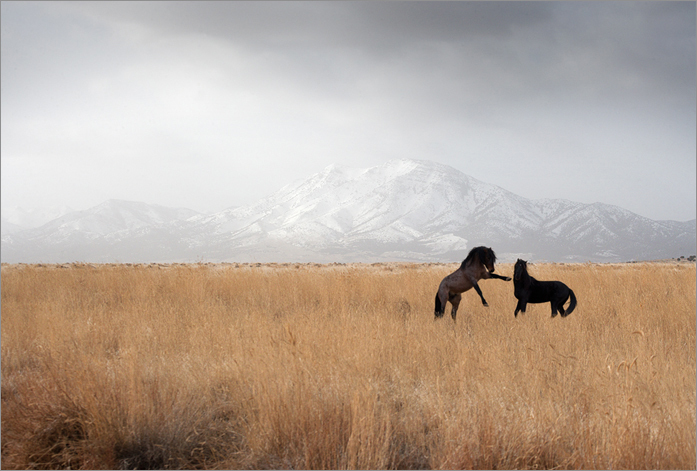 Jennifer’s breathtaking photography documents free-roaming wild horses living in the desert and mountain regions of Western Utah. Two years ago, Jennifer presented an exhibit at G2 that featured rescued mustangs at a sanctuary in Ojai, Calif. For her current project, Jennifer was able to get in and amongst herds of wild horses in their natural state. She also received permission from the U.S. Department of the Interior’s Bureau of Land Management (BLM) to witness the roundups—or “gathers” as they are termed by the BLM—which serve to inventory—and in most cases remove—wild horses on federal land. The images featured in Nature LA: Jennifer MaHarry document this incredible effort. In 1971, the Nixon administration passed the Wild Horses and Burros Act, deeming mustangs “living symbols of the historic and pioneer spirit of the West.” Protections for the horses were mandated, as well as stipulations regarding “excess animals” including roundups, removal from an area, adoptions, and euthanasia. Today, the existence of wild horses on federal public lands presents a difficult challenge for the BLM, as they struggle to maintain healthy land and healthy herds while an ever-growing cattle industry is allowed grazing rights, and mining industries are allowed to divert water away from the horses’ designated Herd Management Areas. 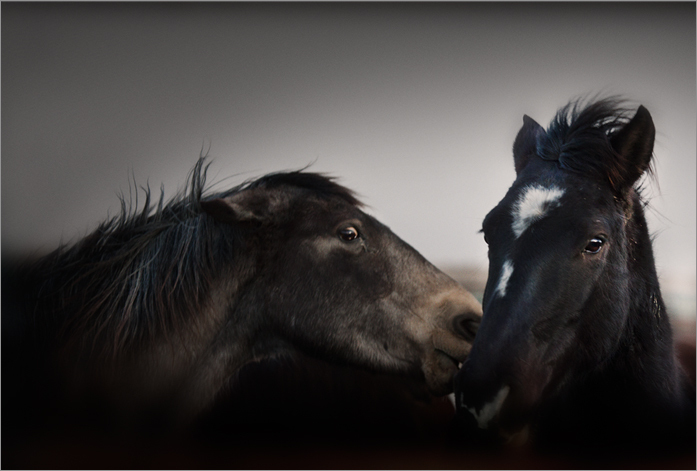 Jennifer’s intention for these images is to give voice to the wild horses as their populations continue to decrease annually. Since The G2 Gallery signed Jennifer to its roster of nature and wildlife photographers she has become one of the top-selling artists in the history of the gallery. The exhibit Wild on Earth: Piper Mackay will also be highlighted at the opening and all proceeds from the $5 admission and from all art sales will benefit the David Sheldrick Wildlife Trust. Jennifer MaHarry is a photographer and graphic designer based in Culver City, California. In 2000, Jennifer founded Eden Creative where, as creative director, she designs motion picture print advertising campaigns for major releases by the Walt Disney Company, Warner Bros, and Sony among others. A graduate of the School of Visual Arts at Syracuse University, Jennifer exhibited at the Kingston Museum of Contemporary Arts and the Venice Art Walk before her highly successful solo show at The G2 Gallery in 2010. Since that time, Jennifer’s artwork has helped raise thousands of dollars for environmental causes through The G2 Gallery. A reception will be held Saturday, May 19 from 6:30–9:00 PM.